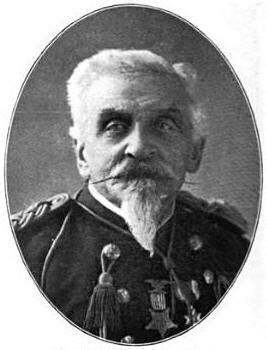 The first Italian American to receive the U.S. Congressional Medal of Honor was Luigi Palma di Cesnola, a Union general in the Civil War, who later became the first director of the Metropolitan Museum of Art in New York City. Luigi Palma di Cesnola was born the second son of a count and military officer at Rivarolo Canavese in the Kingdom of Sardinia, Italy. In 1848 Luigi joined the Sardinian army at the age of 15 and served in the First Italian War of Independence. During the battle of Novara on 23 March 1849, he was decorated for bravery and promoted to the rank of second lieutenant. He graduated from the Royal Military Academy at Cherasco in 1851. In 1854 he was dismissed for unknown reasons and subsequently served with the British Army in the Crimean War as the aide-de-camp to General Enrico Fardella. In 1858 he went to New York, where he first taught Italian and French. In February 1861 he married Mary Isabel Reid, the daughter of war hero, Commodore Samuel Chester Reid. He then founded a private military school for officers, where in six months he trained over seven hundred students. In 1862, he took part in the American Civil War as colonel of a cavalry regiment. At the Battle of Aldie (June 1863), Colonel di Cesnola was wounded and taken prisoner. He received a Medal of Honor for his efforts during the battle. He was released from Libby Prison early in 1864, when the Union Agent for Prisoner Exchange offered a personal friend of Jefferson Davis as barter. After the war, he was appointed United States Consul at Larnaca in Cyprus (1865–1877). During his stay on Cyprus, he carried out excavations (especially around the archaeological site of Kourion), which resulted in the discovery of a large number of antiquities. The collection was purchased by the newly expanded Metropolitan Museum of Art in New York in 1872 and Cesnola became the first director in 1879. He held this position until his death in 1904. Garibaldi led Italy to unification in 1861 and he was offered a command as Major General in the Union Army by President Lincoln. Garibaldi declined, but to honor him, the 39th New York Infantry was known as the Garibaldi Guard. About 150 of its 850 men were Italian and they fought in the Union Army from Bull Run to Appomattox. Giuseppe Garibaldi was born and christened Joseph Marie Garibaldi on July 4, 1807 in Nice, which at the time was part of France, to Giovanni Domenico Garibaldi and Maria Rosa Nicoletta Raimondo. 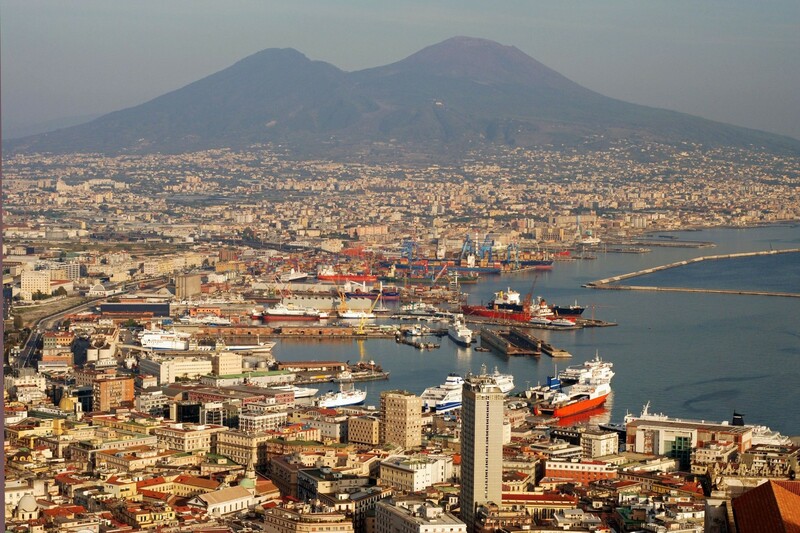 Garibaldi’s family’s involvement in coastal trade drew him to a life at sea. He was certified in 1832 as a merchant marine captain. In April 1833 he travelled to Taganrog, Russia, in the schooner Clorinda and during ten days in port, he met Giovanni Battista Cuneo from Oneglia, a politically active immigrant and member of the secret La Giovine Italia / Young Italy movement of Giuseppe Mazzini. Mazzini was an impassioned proponent of Italian unification through political and social reform. Garibaldi joined the society and took an oath dedicating himself to the struggle to liberate and unify his homeland and free it from Austrian dominance. He joined the Carbonari revolutionary association and in February 1834 participated in a failed Mazzinian insurrection. A Genoese court sentenced him to death in absentia and he fled across the border to Marseille. Soon after he sailed to Tunisia and eventually found his way to the Empire of Brazil. Once there he joined the rebels, known as the Ragamuffins, in the Ragamuffin War. During this war he met Ana Ribeiro da Silva (known as Anita). When the Ragamuffins tried to claim another republic in the Brazilian province of Santa Catarina in October 1839, she joined Garibaldi aboard his ship, Rio Pardo, and fought alongside him at the battles of Imbituba and Laguna. In 1841, Garibaldi and Anita moved to Montevideo, Uruguay, where Garibaldi worked as a trader and schoolmaster. The couple married in Montevideo the following year. They had four children – Menotti (born 1840), Rosita (born 1843), Teresita (born 1845) and Ricciotti (born 1847). A skilled horsewoman, Anita is said to have taught Garibaldi about the gaucho culture of southern Brazil and Uruguay. Around this time, he adopted his trademark clothing, which consisted of the red shirt, poncho and sombrero commonly worn by the gauchos. Garibaldi returned to Italy during the turmoil of the revolutions of 1848. In the unsuccessful First Italian War of Independence, he led his legion to two minor victories at Luino and Morazzone. In 1859, the Second Italian War of Independence (also known as the Austro-Sardinian War) broke out. Garibaldi was appointed major general and formed a volunteer unit, named the Hunters of the Alps. 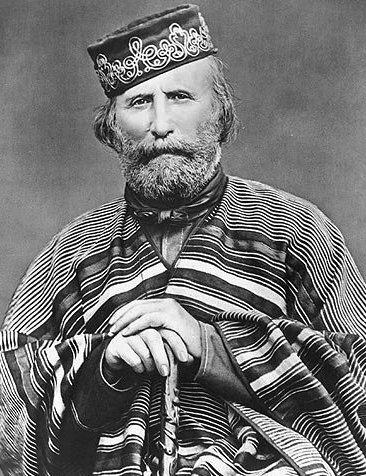 Garibaldi took up arms again in 1866 with support from the Italian government. The Austro-Prussian War had broken out and Italy had allied with Prussia against Austria-Hungary in the hope of taking Venetia from Austrian rule (Third Italian War of Independence). Garibaldi gathered again his Hunters of the Alps, now some 40,000 strong, and defeated the Austrians at Bezzecca. Garibaldi’s popularity, his skill at rousing the common people and his military exploits are all credited with making the unification of Italy possible. He also served as a global exemplar of mid-19th century revolutionary nationalism and liberalism. Carlo di Rudio was born in Belluno, Italy. He was the son of Count and Countess Aquila di Rudio. As a teenager, he attended an Austrian military academy in Milan and at the age of 15, di Rudio left to join the Italian patriots during the uprising in 1848. He participated in the defense of Rome and, later, of Venice against the Austrians. He was shipwrecked off Spain in an aborted attempt to sail to America. By 1855, he was living in east London (England) and had married Eliza, the 15-year-old daughter of a confectionist. They eventually had three daughters and two sons. DeRudio immigrated to New York City in 1860. He became a private in the 79th New York Volunteers (“Highlanders”), serving about two months with them at the Siege of Petersburg, Virginia, between August 25 and October 17, 1864. On November 11, 1864, he was commissioned second lieutenant, 2nd U. S. Colored Infantry. DeRudio served with the 2nd U.S.C.T. in Florida until honorably mustered out of service on January 5, 1866. After his Civil War service, DeRudio received an appointment to the 7th Cavalry on July 14, 1869, as a 37-year-old 2nd lieutenant. On June 25, 1876 DeRudio was with Company A and crossed the Little Bighorn River as part of Major Marcus Reno’s battalion. His company dismounted and fought in a skirmish against the Hunkpapa and Oglala warriors who rushed to defend their village from Reno’s attack. Under pressure from growing numbers of warriors, Reno ordered a retreat back across the river, where DeRudio lost his horse and was left behind in the timber on the western bank. For thirty-six hours, DeRudio and Private Thomas O’Neill remained hidden until the early hours of June 27 when they were finally able to cross the river, joining the Reno and Benteen command on Reno Hill. DeRudio commanded a reformed Company E during the Nez Perce War of 1877 and continued service with the 7th Cavalry. He was promoted to captain on December 17, 1882, while stationed at Fort Meade, Dakota Territory. He later served at Fort Sam Houston, Texas and at Fort Bayard, New Mexico. He retired on August 26, 1896 with the grade of major to San Diego, California. Basilone, an Italian American Marine sergeant from New Jersey, fought at the Battle of Guadalcanal (1942), raised millions of dollars in war bonds and was killed in action during the Battle of Iwo Jima in 1945. He is the only enlisted Marine in U.S. history to receive both of the nation’s two highest military honors: the Navy Cross for valor and the U.S. Congressional Medal of Honor for his service in World War II. Basilone was born on November 4, 1916, the sixth of 10 children. His father, Salvatore Basilone, emigrated from Naples in 1903 and settled in Raritan, New Jersey. His mother, Dora Bencivenga, was born in 1889 and grew up in Manville, but her parents, Carlo and Catrina, also came from Naples. His parents met at a church gathering and married three years later. Basilone grew up in the nearby Raritan Town (now a borough of Raritan) where he attended St. Bernard Parochial School. After completing middle school at the age of 15, he dropped out prior to attending high school. 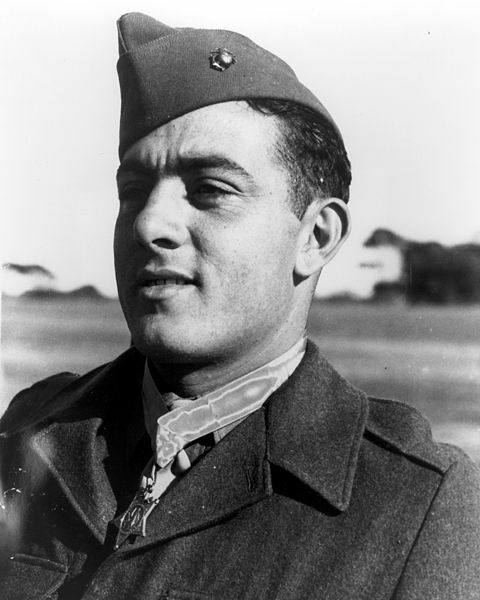 Basilone worked as a golf caddy for the local country club before joining the military. He enlisted in the United States Army and completed his three-year enlistment with service in the Philippines, where he was also a champion boxer. Upon returning home, he worked as a truck driver in Reisterstown, Maryland. After driving trucks for a few months, he wanted to go back to Manila and believed he could get there faster as a Marine than in the Army. He enlisted in the Marines in July 1940 from Baltimore, Maryland and went to recruit training at Marine Corps Recruit Depot Parris Island followed by training at Marine Corps Base Quantico and New River. The Corps sent him to Guantánamo Bay, Cuba for his next assignment and then to Guadalcanal in the Solomon Islands as a member of Dog Company 1st Battalion, 7th Marine Regiment 1st Marine Division. During the Battle for Henderson Field, his unit came under attack by a regiment of approximately 3,000 soldiers from the Japanese Sendai Division. Japanese forces began a frontal attack using machine guns, grenades, and mortars against the American heavy machine guns. Basilone held off the Japanese soldiers attacking his position using only a .45 pistol. By the end of the engagement Japanese forces opposite their section of the line were virtually annihilated. For his actions during the battle, he received the United States military’s highest award for bravery, the Medal of Honor. After receiving the Medal of Honor, he returned to the United States and participated in a war bond tour. Although he appreciated the admiration, he felt out of place and requested a return to the operating forces fighting the war. After his request to return to the fleet was approved, he was assigned to Charlie Company, 1st Battalion, 27th Marine Regiment, 5th Marine Division during the invasion of Iwo Jima. On February 19, 1945, he was serving as a machine gun section leader against Japanese forces on Red Beach II. With his unit pinned down, Basilone made his way around the side of the Japanese positions and attacked with grenades and demolitions, single-handedly destroying their entire strongpoint and its defending garrison. He then fought his way toward Airfield Number 1 and aided an American tank that was trapped in an enemy mine field under intense mortar and artillery barrages. He guided the heavy vehicle over the hazardous terrain to safety, despite heavy weapons fire from the Japanese. As he moved along the edge of the airfield, he was killed by Japanese mortar shrapnel. His actions helped Marines penetrate the Japanese defense and get off the landing beach during the critical early stages of the invasion. For his valor during the battle of Iwo Jima, he was posthumously approved for the Marine Corps’ second-highest decoration for bravery, the Navy Cross. He was interred in Arlington National Cemetery in Arlington, Virginia and his grave can be found in Section 12. General Zinni, a veteran Marine and the son of Italian immigrants, commanded Operation Desert Fox and the U.S. bombing of Iraq in 1998. It was the largest U.S. offensive since the Gulf War in 1991. A highly decorated officer, he was Commander-in-Chief of the U.S. Central Command. Zinni was born in Conshohocken, Pennsylvania, the son of Lilla (Disabatino), a seamstress and homemaker, and Antonio Zinni, a chauffeur. His parents were of Italian descent. In 1965, Zinni graduated from Villanova University with a degree in economics and was commissioned a second lieutenant in the United States Marine Corps. He was assigned to the 2nd Marine Division, where he served as a platoon commander, company executive officer and company commander in the 1st Battalion, 6th Marines. He also served as a company commander in the 1st Infantry Training Regiment during this tour. In 1967, Zinni was assigned as an infantry battalion advisor to the Vietnamese Marine Corps. Following the Vietnam War, he was ordered to the Basic School where he served as a tactics instructor, platoon commander and company executive officer. In 1970, he returned to Vietnam as a company commander in 1st Battalion, 5th Marines, where he was wounded and subsequently assigned to the 3rd Force Service Support Group on Okinawa. In 1981, he was assigned as an operations and tactics instructor at the Marine Corps Command and Staff College at Quantico, Virginia. He was next assigned to the Operations Division at Headquarters, U.S. Marine Corps where he served as the Head of the Special Operations and Terrorism Counteraction Section and as the Head, Marine Air-Ground Task Force Concepts and Capabilities Branch. In 1984, he earned his master’s degree from Central Michigan University. In 1986, he was selected as a fellow on the Chief of Naval Operations Strategic Studies Group. 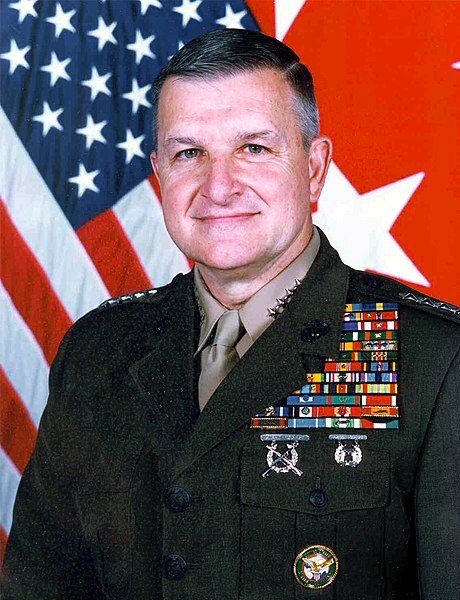 From 1987 to 1989, Zinni served on Okinawa as the regimental commander of the 9th Marine Regiment and the Commanding Officer of the 35th Marine Expeditionary Unit, which was twice deployed to the Philippines to conduct emergency security operations and disaster relief operations. Upon his return to the U.S., he was assigned as the Chief of Staff of the Marine Air-Ground Training and Education Center at Marine Corps Base Quantico. His initial general officer assignment was as the Deputy Director of Operations at the U.S. European Command. In 1991, he served as the Chief of Staff and Deputy Commanding General of Combined Task Force Operation Provide Comfort, during the Kurdish relief effort in Turkey and Iraq. He also served as the Military Coordinator for Operation Provide Hope, the relief effort for the former Soviet Union. In 1992-93, he served as the Director for Operations for the Unified Task Force in Somalia for Operation Restore Hope. Also in 1993, he served as the Assistant to the U.S. Special Envoy to Somalia during Operation Continued Hope. Zinni was assigned as the Deputy Commanding General, U.S. Marine Corps Combat Development Command, Quantico, Virginia, from 1992 to 1994. From 1994 to 1996, he served as the Commanding General, 1st Marine Expeditionary Force. During early 1995, Zinni served as Commander of the Combined Task Force for Operation United Shield, protecting the withdrawal of U.N. forces from Somalia. From September 1996 until August 1997, Zinni served as the Deputy Commander in Chief, United States Central Command. His final tour was from August 1997 to September 2000 as the Commander in Chief, United States Central Command, MacDill Air Force Base, Florida, where he organized Operation Desert Fox, a series of airstrikes against Iraq during December 1998. Following this, he retired in autumn 2000 and in 2002, he was selected to be a special envoy for the United States to Israel and the Palestinian Authority. Combine a half cup of water (200 ml) with the lemon juice, parsley and oil and season the mixture to taste with salt and pepper. Marinate the tuna in the liquid for three hours. When the marinating time is almost up, preheat your oven to 360 F (180 C). Put the fish in a pan, sprinkle the onion and some of the marinade over it, season lightly with salt and pepper and roast it for 20-25 minutes. Transfer the fish to a serving dish, decorate it with the lemon wedges, spoon the pan drippings over it, and serve. Heat a 3 quart sauce pot and add the olive oil and stir in the chopped onions. Place the chopped meat over the onions and cook for 3 or 4 minutes. Stir the meat and the onions thoroughly and cook the meat until it is browned, stirring occasionally. As the meat browns, mix the tomato paste, broth and red wine in a bowl. When the meat has browned add the tomato paste mixture to the meat. Bring to a simmer and cook for about five minutes. Add the peas and cook until the peas are tender. Take the pot off the heat and stir the cheese into the meat sauce. Salt & pepper to taste. Tradionally this sauce is served over cooked polenta. Brush both sides of each of the slices of bread with olive oil.Place on a baking sheet and bake for 8-10 minutes until lightly browned. Rub each side of the crostini with the sliced garlic. Set aside. Clean the mussels under running water, discarding any with broken shells. Trim the “beard” (the stringy portion) from the side. In a large sauté pan big enough to hold all the mussels in one layer, add the mussels, wine and lemon juice. Cover and steam over medium heat until almost all the mussels have opened, about 10 minutes. (Discard any that haven’t opened.) Strain the liquid and set it and the mussels aside, separately. In a large sauté pan, heat the olive oil and add the onions and celery and cook until they are transluscent, about 5 minutes. Add the garlic and red pepper flakes and cook for another minute. Add the tomatoes, the mussel cooking liquid, oregano and 1/3 of the chopped parsley. Turn the heat to high. Keep the heat high until it starts to boil, then turn the heat down to medium and cook another 10 minutes, reducing a bit. The sauce should be quite dense. Add the mussels and reheat. Taste and add more salt if needed, plenty of freshly ground pepper and the remaining parsley. Place a crostini at the bottom of each of 4 individual bowls. Spoon the mussels into the four bowls, distributing them evenly. Pour the sauce over the mussels. Add three crostini to each bowl and lemon wedges if desired. Great bio-snapshots and great recipes. Now I have to share this post to two Pinterest boards: BIOGRAPHIES and RECIPES. – A side note: You know the characteristics or traits of military leadership can be applied even when NOT in combat or confrontational situations.